Perfect for sculpting and applying life-like creases & wrinkles to all size baby sculpts! 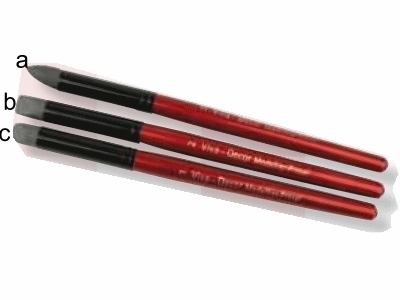 Clay Shaper Tools - Basic set 3 pc. If you want to try sculpting then are this set clay shapers perfect for you. The perfect set clay shapers for starting sculpting this set exists of 3 shapers with a rubber point.